This 1950 Ford Custom Deluxe has been owned the same family since new and they have the dealer invoice to prove it. After covering just 60k miles it was parked and has sat since. That was 30 years ago, but now the family is ready to let it go. They are asking $6,000 here on craigslist in Lake Havasu, Arizona. Thanks goes to Norb for the submission! This ad mentions the improvements made to the seals because the first cars were known to be noisy. After the war, most automobile manufacturers just dusted off their old designs and put them back into production. 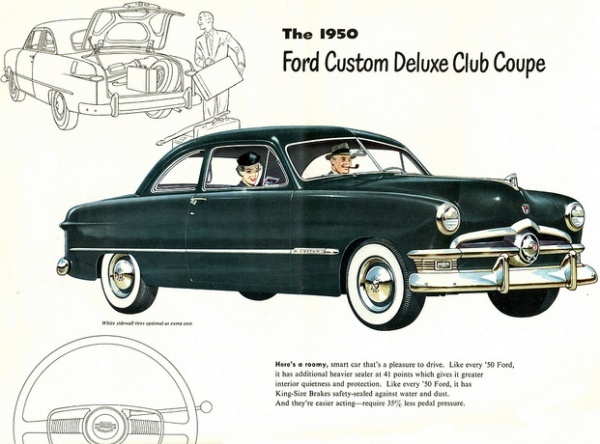 Ford wanted something more modern though so they drew up a new shape for 1949. 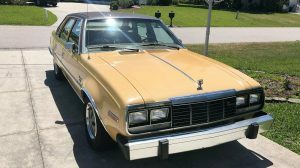 The body was boxier than previous Fords, hence the “shoebox” nickname, and everything was new about the car except the drivetrain. 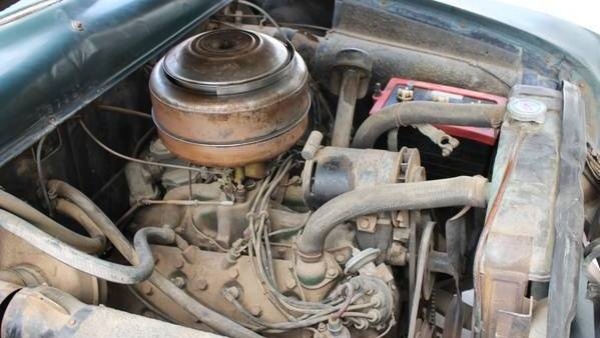 The original 100 horsepower Flathead V8 is still in place and shouldn’t take too much to get humming again. New fluids, hoses, wires, and a carburetor rebuild should do the trick. We have a feeling that someone has already tried to get her running though. The battery looks too clean, so we would want to make sure they haven’t damaged anything with a start attempt. A quick phone call could clear up any doubts. When this car was built, Ford did not have their own automatic transmission, so they used a 3-speed manual. Luckily this one is fitted with the optional overdrive. There are a few parts missing inside and we can’t help but question the originality of this shoebox. The seller doesn’t mention if someone in the family attempted a restoration at some point, so we would want to query them about that too. Still, this does look like a solid car and we think it could make a fun project. Wonder what it would cost to ship it to ns canada, i’d take it in a minute. When I followed your link to this car on Craig’s List, I got a little pop-up underneath that took me to a completely restored award winning one in Texas, Truly beautiful with the bigger V8, it is currently at $10, 000 and below minimum but it has door panels, a running engine, completely rust free, complete and immaculate interiors, chrome, paint, wide white walls, hubcaps, etc, etc, Don’t know what the final $$s will be but that’s where I’d go. Don’t know if this one runs or if the parts are there. Looks like a piece of the trunk rotted out? Dings in the front bumper, and just a whole lot of ‘stuff’ to take rare of. You’d have to just love doing it to bother. Can you post the link Kman? We didn’t add any sort of popup so I’m curious to know where this other car is listed. Sorry, Jesse, meant to say it was on e-bay. I’ll punch it in again and see if it comes back up and send it to you. The black plate Texas car on eBay looks really good, and would certainly be the preferable purchase over the Arizona car, but it all depends on the auction reserve. 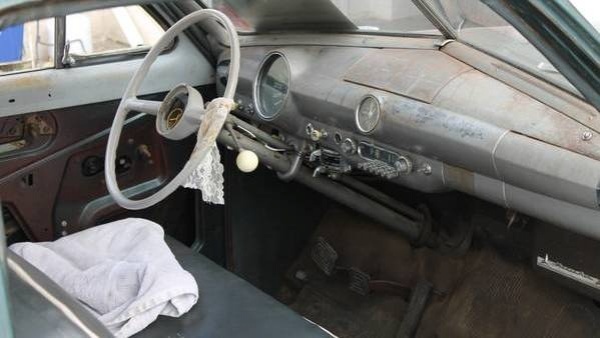 The presentation of the Texas car in the eBay listing is fabulous, and shows that it’s a car you could enjoy bringing to local shows with maybe just a better steering wheel if the cracks in the current one bother you. 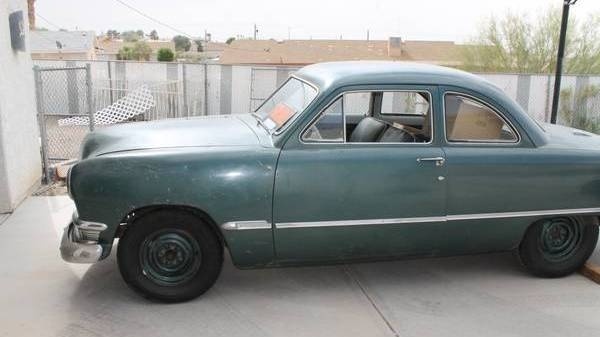 OTOH, the Arizona car on Craigslist needs to have everything redone, and unless the buyer is retired with the appropriate skills, energy, and a good shop, it won’t be at the level of the Texas car anytime soon. 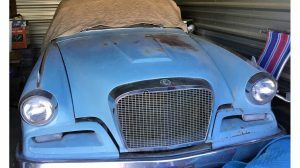 If there’s one thing BarnFinds.com shows, and Kman’s point reinforces, it’s that a lot of projects that started out with the best of intentions don’t get done to the point that they can actually be used on the road. 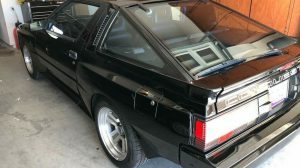 There’s something to be said for having at least one interesting and desirable car that you can drive and enjoy now, even if it’s only as valuable as a good used Camry. That car on E-bay is nice. It would look so much better on my driveway. The AZ car is appealing too, in that I like to putter around with them and try to make them run better and driveable. Just depends on the price. I might add that the TX car looks more like a 2dr. sedan instead of a club coupe. 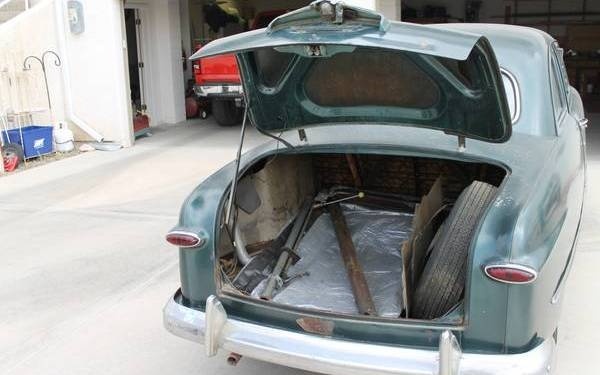 Why is the drivers side door panel always off on these barn finds, is it some kind of requirement :-) The coupe does have a lot of potential and the price isn’t to bad. The sedan on e-bay is really nice but we don’t know what the reserve is, could be high. You gotta love those old she box’s. Another, this one is a 6 cyl w/ 36K original miles, nice shape. 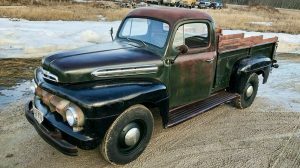 MY UNCLE WHO ADMITS TO RUNNING A LITTLE SHINE IN THE WV MOUNTAINS HAD ONE OF THIS THAT HE HOT RODDED UP.I WAS ABOUT 10 YRS OLD AT THE TIME BUT I REMEMBER WANTING THAT CAR.I DON’T KNOW MUCH ABOUT FLATHEADS BUT I AM SURE YOU CAN GET A LOT MORE THAN 100 HP OUT OF IT. IT WOULD LOOK NICE IN MY DRIVEWAY. My first car was a ’49 coupe with overdrive trans….paid $75 bucks for back in ’67. Learned about mechanics, body work and driving a clutch. I replaced the 239 with a larger flatty from a ’53 merc. Eventually traded the trans and $40 for a ’49 4 door in perfect shape with a cracked block. Somewhere in Brooklyn or New York is my 4 door with a bored 326 pontiac engine, 4sp muncie i had to leave behind my baby when I went into the service and the family moved to VA and had to leave the car behind. Some day I hope to find another ’49, don’t what body style although I still think the convertible is one of best looking drop tops of all time. AAAAAHHH, business coupe makes my heart beat…love ’em….had dozens of 49/50s…fixed n resold for extra $$$ so I could buy Buick nailheads to put in everything I owned…..